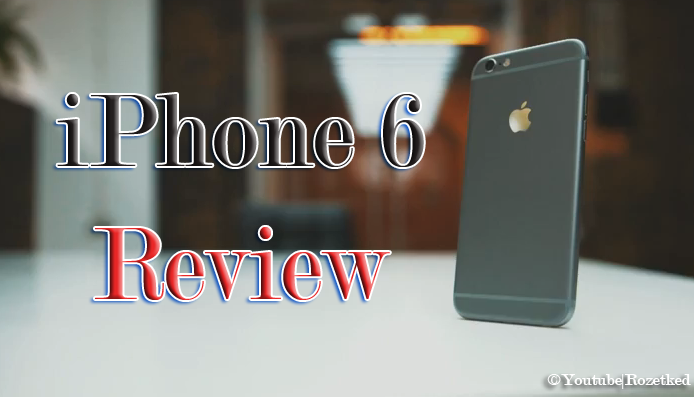 Finally, a video of iPhone 6 review is out on YouTube made by Rozetked. The video posted on September 1, 2014 talked about the features of a techie’s most awaited phone, the iPhone 6. This video about iPhone 6 review has been viewed 2,821,187 as per this post and still counting. As can be seen on the video, the power button is located at its upper left side. While the screen got wider, it got thinner. The scratch free iPhone logo, a curved design at the back, is made luminous, contrasting with the gray color of the case which is made with alloy of aluminum covered with gray plastic inserts. It also has the solidity of a Unibody- case that a MacBook posses. To prove that the phone in the video is legit, the stripped the phone to show the system board inside and other parts. As already been reported, this new model by Apple A8 chip. The edges of the phone are curved. According to Rozetked, the glass is made with sandwich sapphire or another glass that made it more seemed transparent. The TouchID is not convex and seemed smaller, though the sensor’s area seemed wider. Like the iPhone 4, the front cam is not above the speaker, instead it is at the side. Also, like an iPod, the volume buttons are the same at the side. The SIM card slot is still for a nano size but the camera at the back seemed to be stuck out. The iPhone 6 would be available starting on September 9. On the launching event, there are some hearsays, that the Apple’s iWatch would also be introduced. However, the company neither denied nor confirmed this.